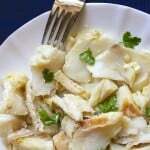 Italian style smoked haddock salad is an easy and excellent fish dish that’s great for Lent. 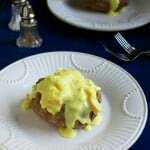 Finnan Haddie salad is simply delicious! 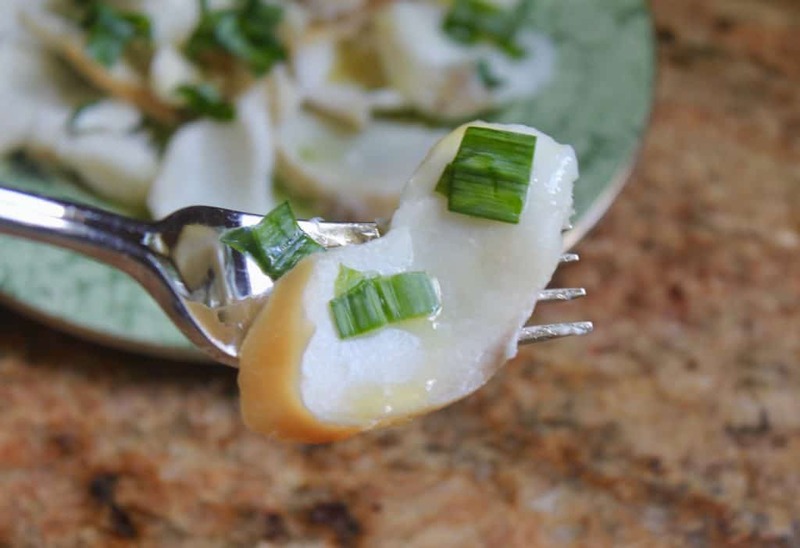 This salad is incredibly flavorful, yet so quick and easy to make! And it’s quite by coincidence that I’m posting this on St. Patrick’s Day because this dish and St Patrick and I all have something in common: we’re Scottish-Italian! You see, St. Patrick was born in what is now Scotland, to Roman parents (like me)! 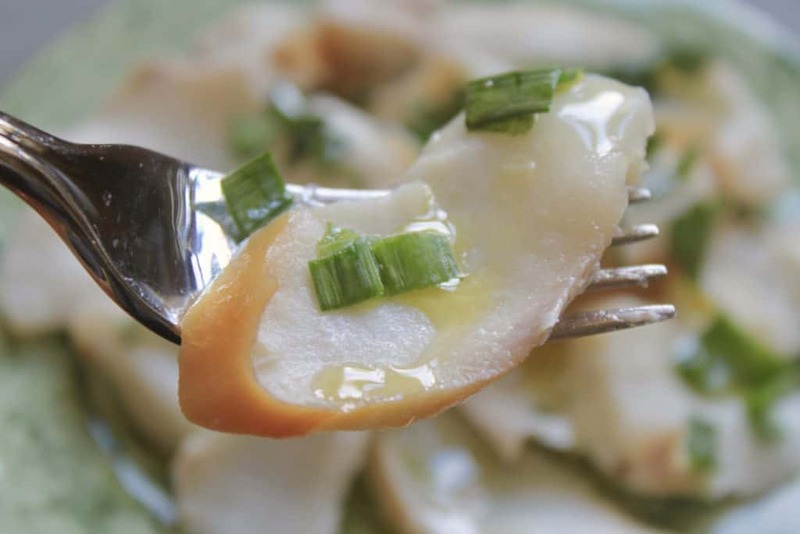 Smoked haddock salad is also Scottish-Italian because the fish is Finnan Haddie (Scottish), and the style of making it is Italian. Pretty cool, huh? And the green plate and green garlic doesn’t hurt for St. Patrick’s Day, either! 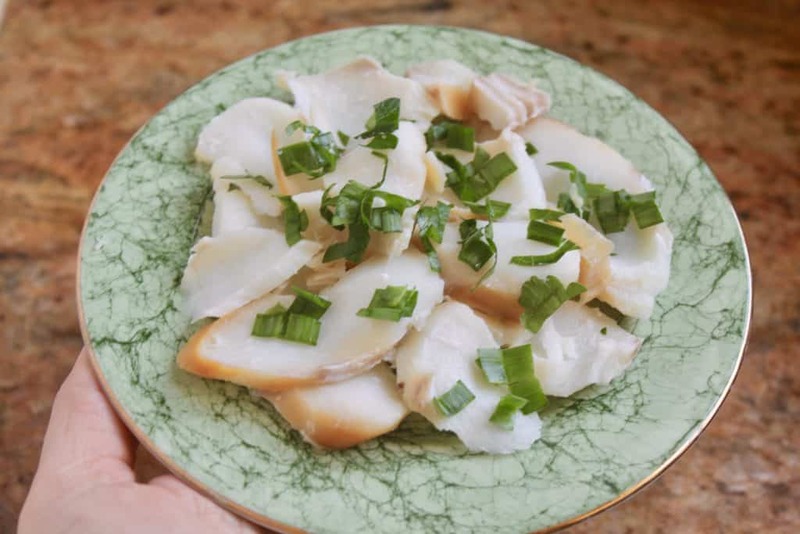 You can check out all my great Finnan Haddie recipes, but be sure to get your smoked haddock at Stonington Seafood, It’s simply the best in the US! You won’t be disappointed! 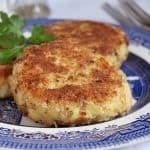 Oh, and I recently posted a fishcake recipe using Finnan Haddie and mashed potatoes! So good! Poach the haddie in some water, barely covering the fish. 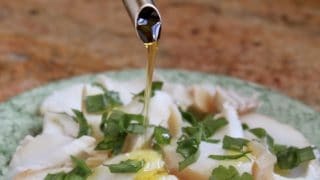 Bring the water to a boil, then put the smoked haddock back in, reduce the heat, and simmer over low heat for 4 minutes. Remove from water and peel the skin which comes off easily. When cool, flake the fish and put on a plate. Drizzle with extra virgin olive oil, salt and pepper, if using. Serve at room temperature, or cold. Keep leftovers in the refrigerator. See how simple and quick that was? 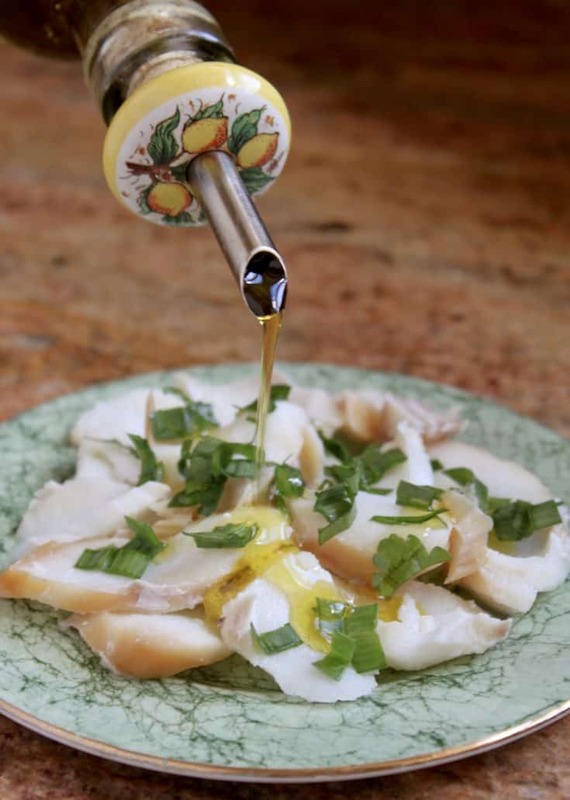 A smoked haddock salad made in an Italian style. Serve at room temperature, or cold. Keep leftovers in the refrigerator. I love any kind of smoked fish! I know I’d love this, especially with the “Italian” twist! Yes you would, I’m sure of it! So simple and elegant! And a fun mash up of Irish-Scottish-Italian fun! I don’t know that I’ve ever had haddock. It looks so flaky and delicate. Loving the look of this dish — so lovely with just a few ingredients. It’s my favorite fish! My dad used it in the fish and chip shop in Scotland! You have to try it!! I am intrigued. I must give haddock a second chance. This looks simply delicious. How fitting for Saint Patrick’s Day? Love that this is so simple, healthy and can just imagine that this just lets the good quality of the smoked fish shine through. 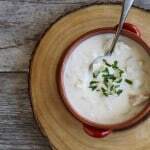 I’d make this at any time of year, depending on getting my hands on good fish like this. Wonderful! Hi Christina. My birthday present to myself from Stoningtons arrived on 3/15 . I ordered kippers, mackeral ,haddock ,and sea scallops so can’t wait to get started on some of the recipes There was a very nice hand written note from Richard too. 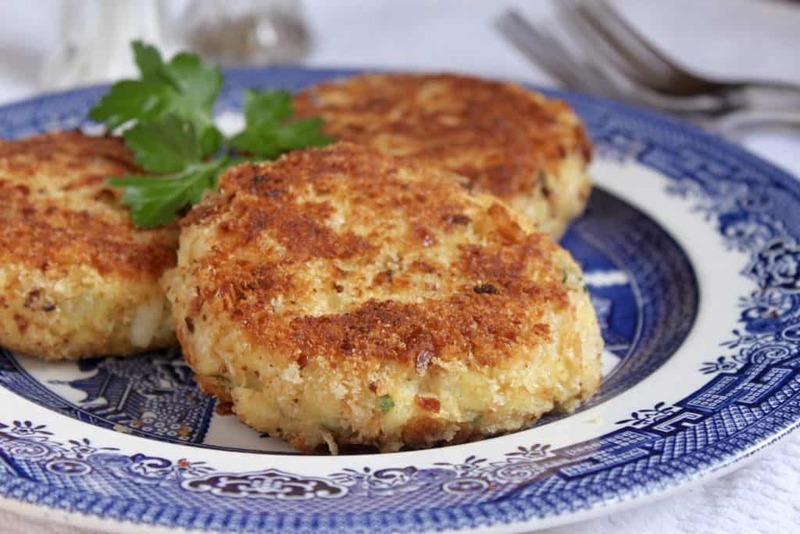 I found a recipe on Stiritup for a smoked haddock “kedgeree”coulibac.. quite delicious! I haven’t cooked the steamed sausage yet as it’s proving difficult to find. Love this for a spring / summer light dish.